Maria Dowling Artist - Gallery - Available to Buy.Tragumna Twilightoil on deep edge canvas100cm x 100cmAvailable in the Uillinn West Cork Arts Centre. 'Rough Seas in Ardmore'oil on canvas12 x 16 inch in an off white tray frame.Available in the Ardmore Gallery and Tea Rooms 'Stormy Weather'oil on canvas12 x 16 inch in an off white tray frame.Available Seagull and Sea ThriftOil on canvas in an off hite tray frame.Available from the Artist.McKenna's Castle, Ardmoreoil on canvas8 x 8 inch in an off white tray frame.Available in the Arts Centre Dungarvan Heavy skies at Ballycoton Lighthouseoil on canvas8 x 8 inch in an off white tray frameAvailable An Rinn (Ring) Gaeltachtoil on canvas18 x 24 inch in an off white floater frame. Available in the Ardmore Gallery and Tea Rooms Treasure in the Trees, oil on Canvas12 x 16 inch in an off white floater frame (outside measurements of frame 21 x 25 inch)Available in the Ardmore Gallery and TEa Rooms Ardmore Beach,Oil on Canvas18 x 24 inch in an off white floater frameAvailable in the Arts Centre Dungarvan 'Safe in Your Arms'oil on linen16 x 12 inch Available in the Beach House Gallery, Dungarvan. 'Hidden Treasure' OIl on canvas 18 x 24 inch and in a black floater frame. Available in Cafe Ed Fermoy Fun on the beach.oil on canvas12 x 12 inch. Available in the Beach House Gallery Dunarvan. 'Look Left'oil on canvas painting of seagulls16 x 12 inchAvailable in tje Ardmore Gallery and Tea Rooms, Ardmore, Co. Waterford, Ireland. 'Gone Fishin'oil on canvas16 x 12 inchAvailable from the Ardmore Gallery and Tea Rooms. 'Near Kilbrittain'oil on canvas30 x 40cmAvailable - contact the artist. A Vase of Golden Flowersoil on canvas16 x 12 inchAvailable from Blackwater Valley Makers Fermoy 'Boys in Garryvoeoil on canvas12 x 16 inch in an off white floater frameavailable 'Fermoy on the Blackwater'limited edition Giclee prints available, printed on museum quality paper using pigment inks, framed and numbered. Original painting is sold 'Bella'oil on canvas40 x 40cm Available in the Uillinn West Cork Arts Centre. Gallery - Available to Buy. Available in the Uillinn West Cork Arts Centre. 12 x 16 inch in an off white tray frame. Oil on canvas in an off hite tray frame. 8 x 8 inch in an off white tray frame. 16 x 12 inch Available in the Beach House Gallery, Dungarvan. OIl on canvas 18 x 24 inch and in a black floater frame. Available in the Beach House Gallery Dunarvan. Available in tje Ardmore Gallery and Tea Rooms, Ardmore, Co. Waterford, Ireland. 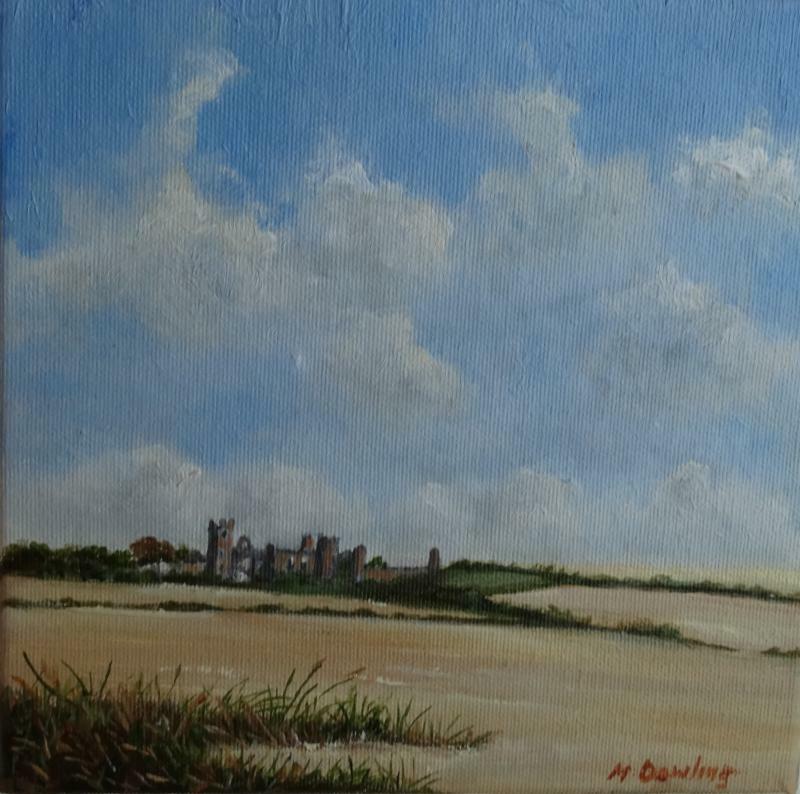 Available from the Ardmore Gallery and Tea Rooms. Available - contact the artist. limited edition Giclee prints available, printed on museum quality paper using pigment inks, framed and numbered.